For some time now, Sony has been mostly absent from the US market. 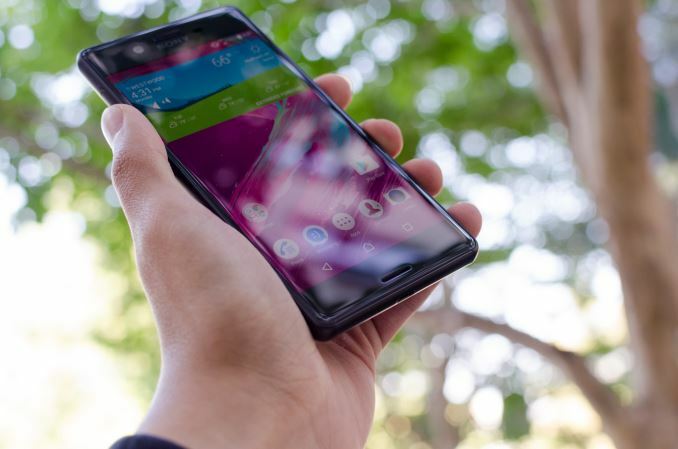 While we’ve seen devices here and there, there have been issues with keeping launches aligned, and for the most part by the time an Xperia phone launches in the US it’s already on the verge of being irrelevant as the 6 month launch cycle of Xperia phones in the past meant that slipping by even a few months resulted in noticeable deltas when comparing US and international models. With the Xperia X, this all changes. Sony finally appears to be taking the US market seriously again, and I’ve spent the last few days using and testing the Xperia X to see just how it stacks up against the competition. 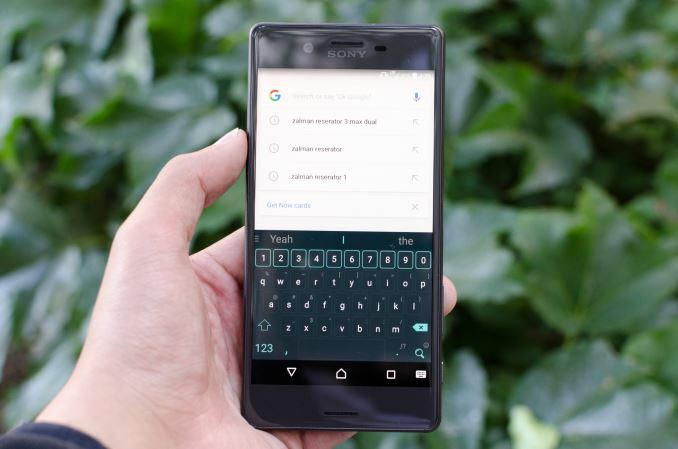 The Xperia X is designed to unify the smartphone lineup to some extent, which makes some kind of sense when even I can’t really keep track of all the Sony smartphones other than the Z line. With the Xperia X Performance, X, XA, and XA Ultra there’s some semblance of sanity to the lineup. The X proper represents the high-end, while the XA line represents the mid-range. 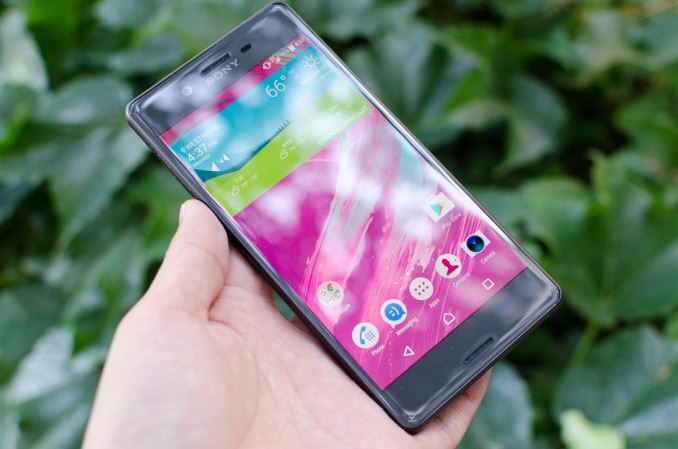 While the astute readers may have noticed that we have tested Xperia phones before, we’ve never done a true review of one. To start reviewing the Xperia X, we can start with the usual spec sheet. Camera 23MP Rear Facing w/ EIS, f/2.0, 1.12µm, 1/2.3" 23MP Rear Facing w/ EIS, f/2.0, 1.12µm, 1/2.3"
At a high level, the Xperia X is a well-balanced phone due to the 5” display, large camera sensor, but for the most part it’s a decidedly upper-mid-range phone. For the most part it’s pretty much a high-end phone other than the SoC, which is Qualcomm’s Snapdragon 650 SoC. For those unfamiliar with this SoC I would refer to our previous coverage on these SoCs for a high level overview. The battery does appear to be on the small side, but given the overall size and display size it’s in line with expectation. At first glance, the only real concern I have is the camera, as Sony lists this camera to have a 24mm equivalent focal length. While I try to keep an open mind with these things, this immediately jumps out as something concerning. Of course, while spec sheets can give some idea for what to expect, there is a whole ocean of implementation details going from a spec sheet to an actual phone. To start, we can look at the design of the Xperia X, which is clearly an evolution of the Omni-Balance design that was first seen with the original Xperia Z. If you’ve used the Xperia Z3, the Xperia X will probably be quite familiar in feel, but instead of an aluminum frame and glass back, the Xperia X uses a plastic frame and an aluminum back that appears to have a sand-blasted anodized finish. I do have to admit it is a bit disappointing to me that Sony didn’t go all the way with an aluminum unibody design here, but it does feel easier to grip than the rather slippery Xperia Z3. The plastic frame also has sensible button and port placement, which is good to see as previous Xperia smartphones were profoundly strange in that respect. The microUSB port is on the bottom of the phone, the combined SIM/microSD tray on the left side when viewed from the front, and the power button is placed high enough that if you hold the phone with your right hand your thumb should be approximately in the correct position to easily access it. This power button also doubles as a fingerprint scanner for international units but not US ones, which has been surprisingly fast when it works and has a firm feel unlike the somewhat loose fingerprint scanner on the LG G5. The volume rocker and two-stage camera button are just below the power button, and for the most part I don’t really have any issues with the placement here. The feel of the buttons is solid here and there’s no creep or take-up before the break. The camera button works, but the feel of the first stage isn’t very consistent as if your finger placement varies it won’t feel the same, and the break of the second stage feels a bit springy if you’re used to something like the Lumia 1020’s camera button. 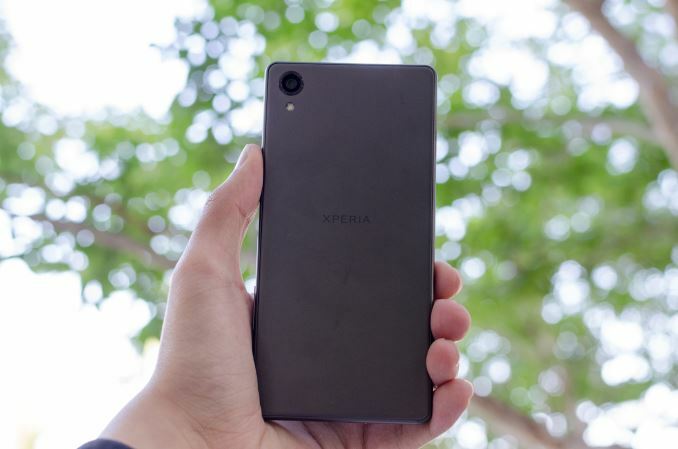 The front of the phone is very much reminiscent of the Xperia Z3, as the dual front-facing speakers have a similar design and Sony continues to use on screen buttons here which does have a fairly noticeable effect on usable screen space, although I’m not really allowed to tear down the phone to see whether this phone places the display driver at the top to allow for capacitive buttons to increase usable screen space. 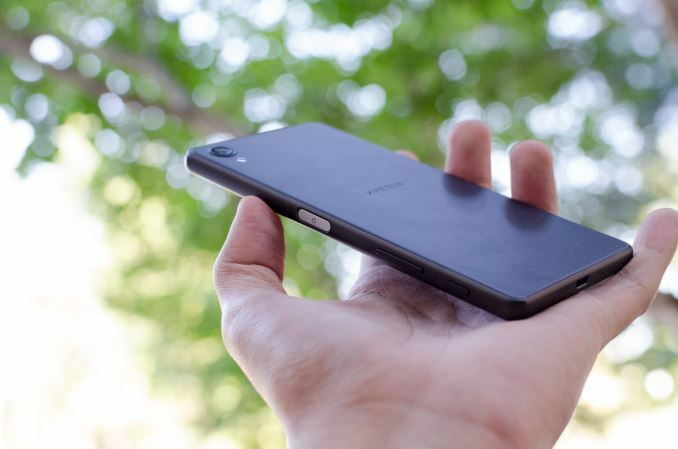 Overall, the design of the Xperia X is solid. There’s nothing really wrong with it, although the large amount of bezel on the bottom combined with the on screen buttons means that the typing ergonomics feels somewhat similar to the One M9. The plastic frame with all of its seams is a bit disconcerting for a 550 USD phone, but it doesn’t really have a material impact on in-hand feel. Again, I think an all-aluminum unibody would probably make it feel a lot better, but for what it is I don’t have any complaints. 5" screen and 820 snappy ? An article about a Sony Xperia on AT!? :o Is this real life? I'm happy to finally see AT covering Xperia phones.